Few states across the country including two Telugu states Telangana and Andhra Pradesh went to polls today. Not only common people but also celebrities like Chiranjeevi, Ram Charan, NTR, Allu Arjun, Pawan Kalyan etc went to exercise vote for their franchise. Under these circumstances, Ram Charan's mother-in-law- Shobana Kamineni, mother of Upasana Kamineni, much to the shock of all found her name missing. This came as a shock as she is not only the daughter of Prathap Reddy, Chairman of Apollo Hospitals but also Vice Chairperson of the group and ex president of CII. 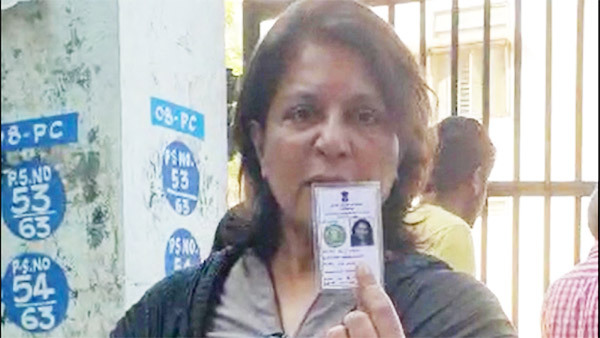 Expressing her anger she posted, "I've exercised my vote at the same booth in Nampally during assembly polls, but now my vote got deleted. I ran from pillar to post for 4 hours to make my vote happen, but they put it back on me, saying that I would have already got a notification about that. This is the worst day of my life and it’s a crime against me as a citizen."